Rabbi and author; flourished in the sixteenth and seventeenth centuries. Vega was the first rabbi of the second synagogue of Amsterdam, Neweh Shalom, which was established in 1608. After a short time he resigned his office, and in 1610 went to Constantinople, where he is said to have written a work entitled "Jazania" (? ), which treated of the life of the Jewish people from the time of the second destruction of Jerusalem. 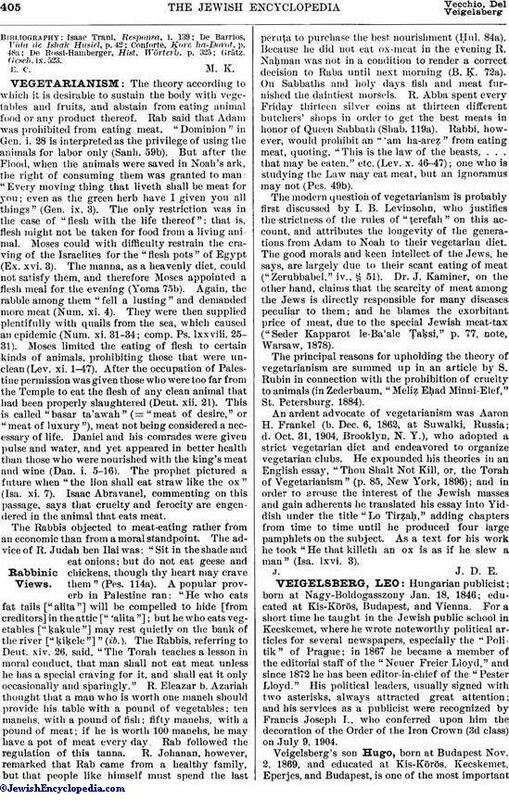 Conforte confounds this Judah Vega with another person of the same name (not Bizo), who lived at the same time, and who went from Salonica to Safed, where he conducted a Talmudic school and where he died. 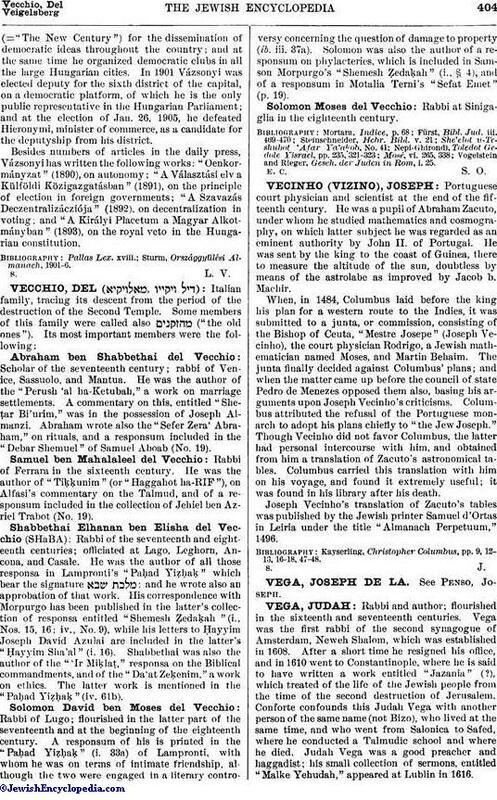 Judah Vega was a good preacher and haggadist; his small collection of sermons, entitled "Malke Yehudah," appeared at Lublin in 1616.